Imagine a home theater setup where you can stream your favorite movies & TV shows wirelessly in brilliant 1080p High-Definition 3D. Nyrius has made this possible with its plug n’ play solution that offers an exceptionally convenient experience where messy cables & wires are no longer needed – it’s like an invisible HDMI cable. 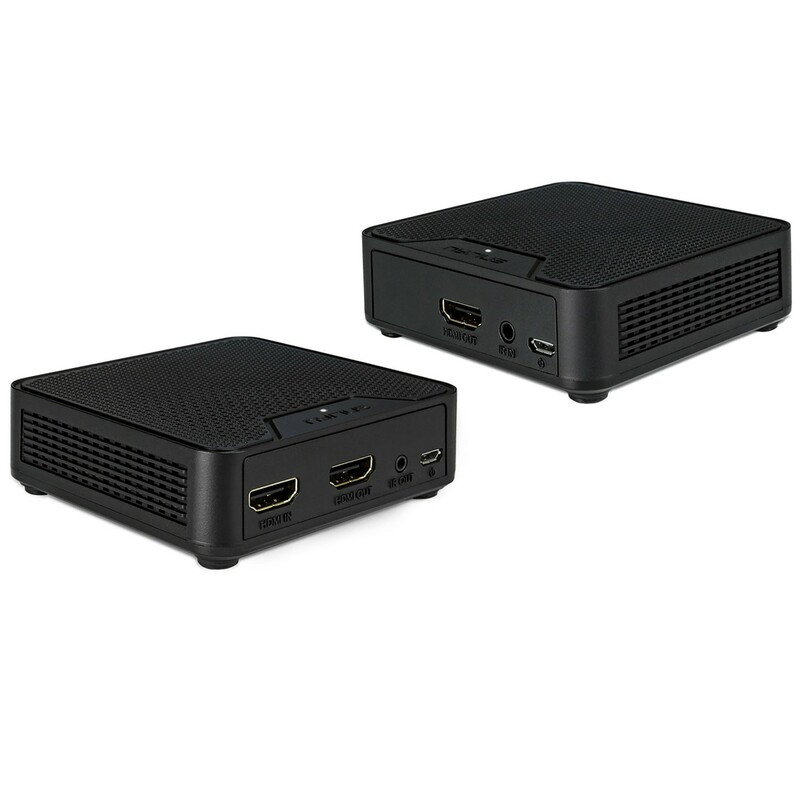 Wirelessly transmit the HDMI signal from your A/V receiver, cable/satellite, Blu-ray, DVD, PC, or laptop up to 60ft away to your HDTV or projector. 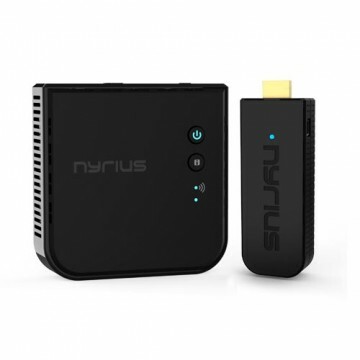 Eliminate cable costs by streaming content from your favorite device. 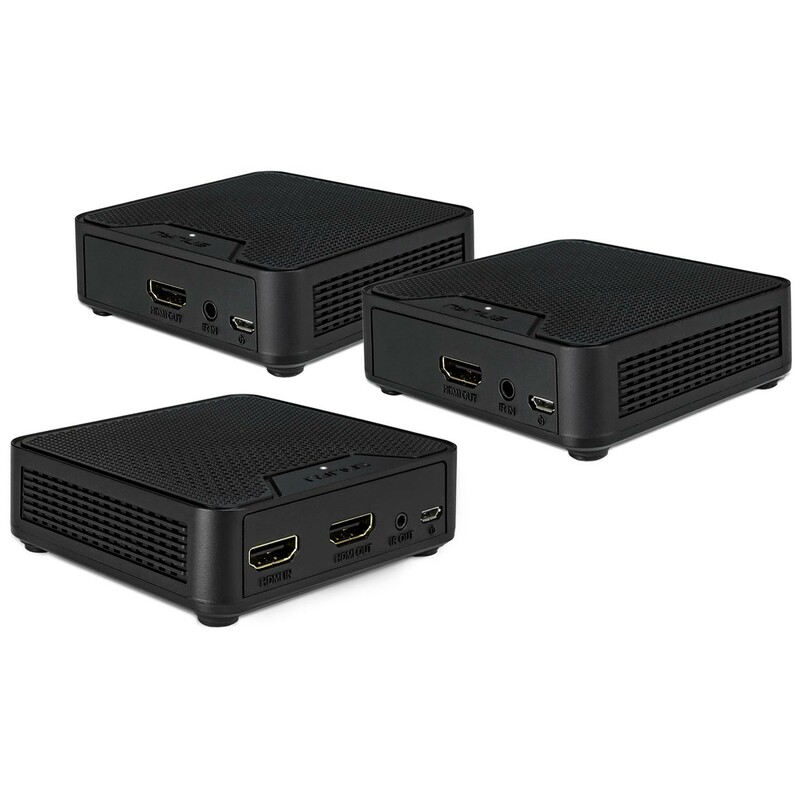 This innovative solution allows for high speed, low latency wireless transmission of true 1080p HD video from any HDMI source. 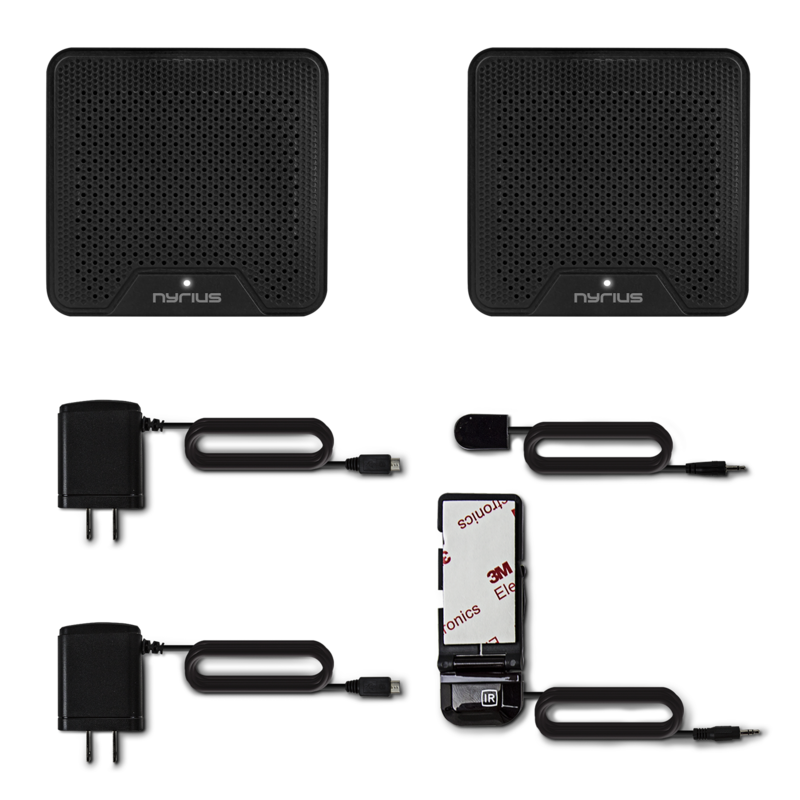 Transmit crystal clear video through walls, floors, & ceilings without interference from other wireless devices such as WiFi or Bluetooth. Whether it's a Netflix movie or YouTube video, you’ll always stream in razor sharp, high definition. 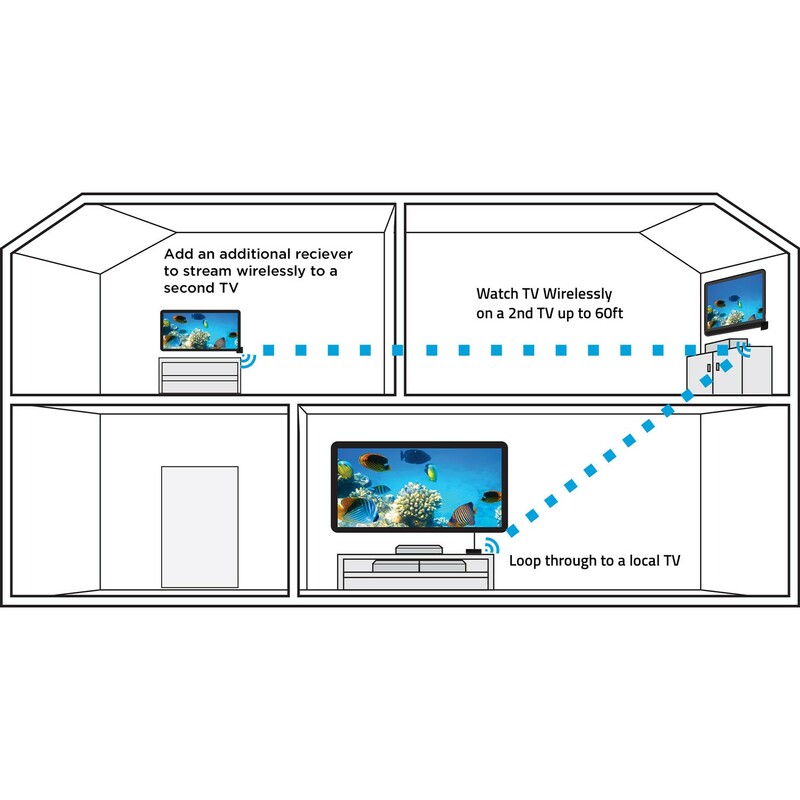 With loop-through HDMI on the transmitter and two receivers, you can set up three separate viewing environments, so you can view through one wired connection in your bedroom & watch the same HD content wirelessly in two other rooms. 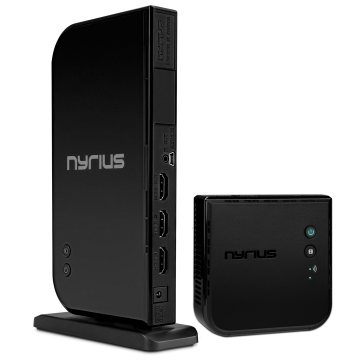 You can also forego the wired connection and use the transmitters to have two wireless connections. You can easily add additional receivers (sold separately) to the system & transmit wireless audio & video to even more TVs. 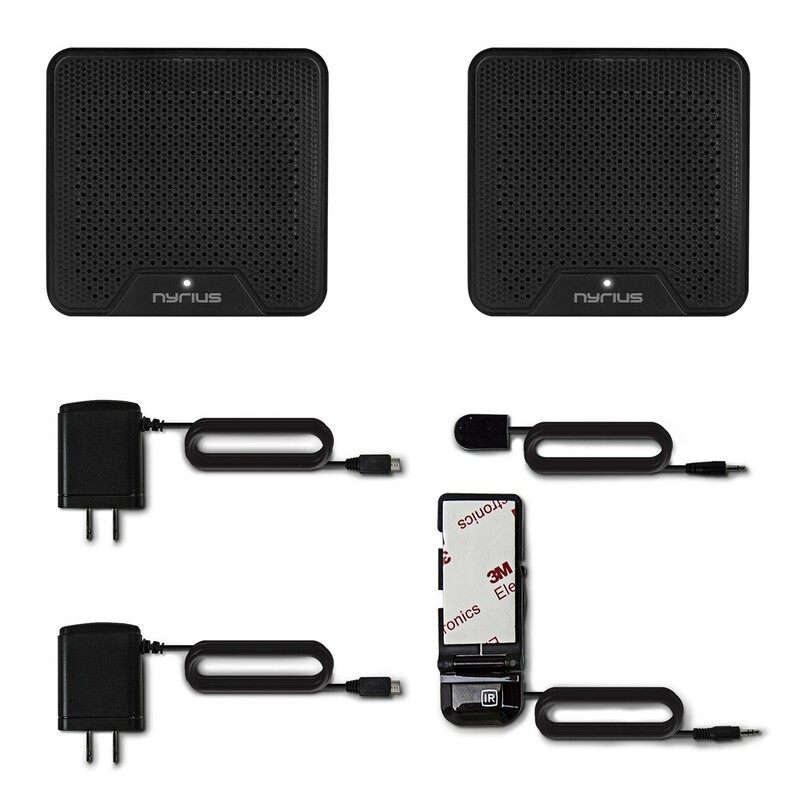 You can add up to two more receivers to this kit to setup four wireless viewing environments in your home or business. Imagine the freedom of sharing one cable box with up two 5 displays (1 wired, 4 wireless). 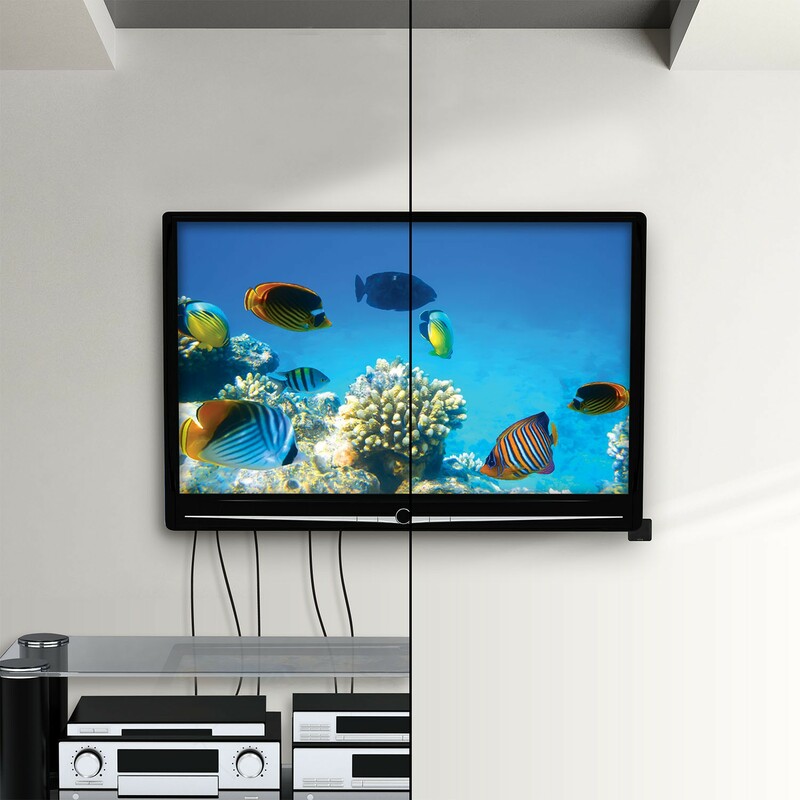 With the included IR extenders you can conveniently control your media device from any area of the home. Change channels, pause your movie, adjust volume – any function will work. Simply point your remote control at the receiver & press your remote control’s button. Plug the transmitter into your devices HDMI port & the receiver into your HDTV & you’re immediately connected. 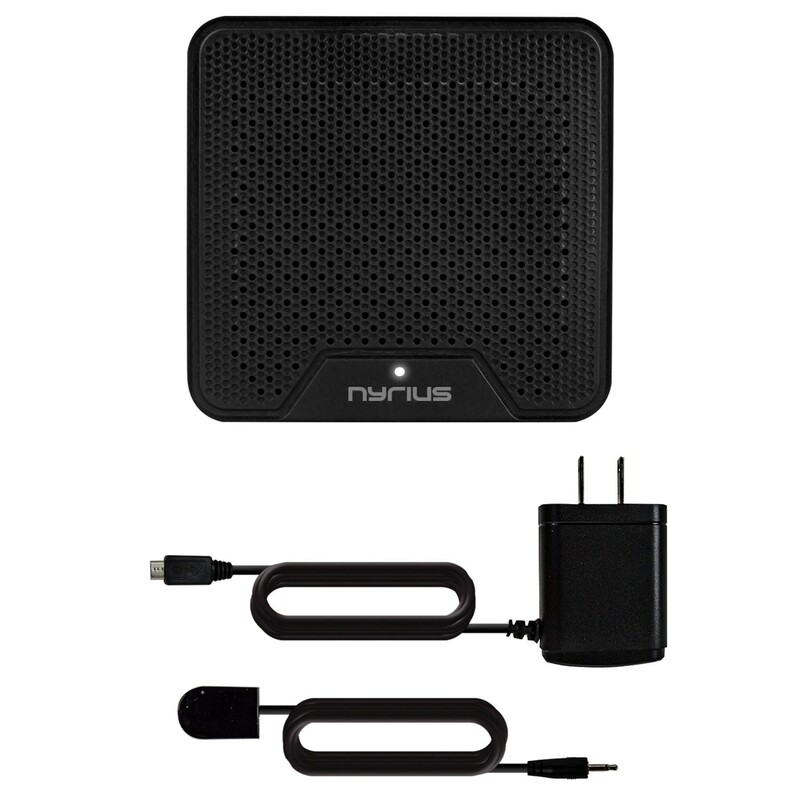 Power the transmitter & receiver by the included AC adapter. No software or WiFi connection required. 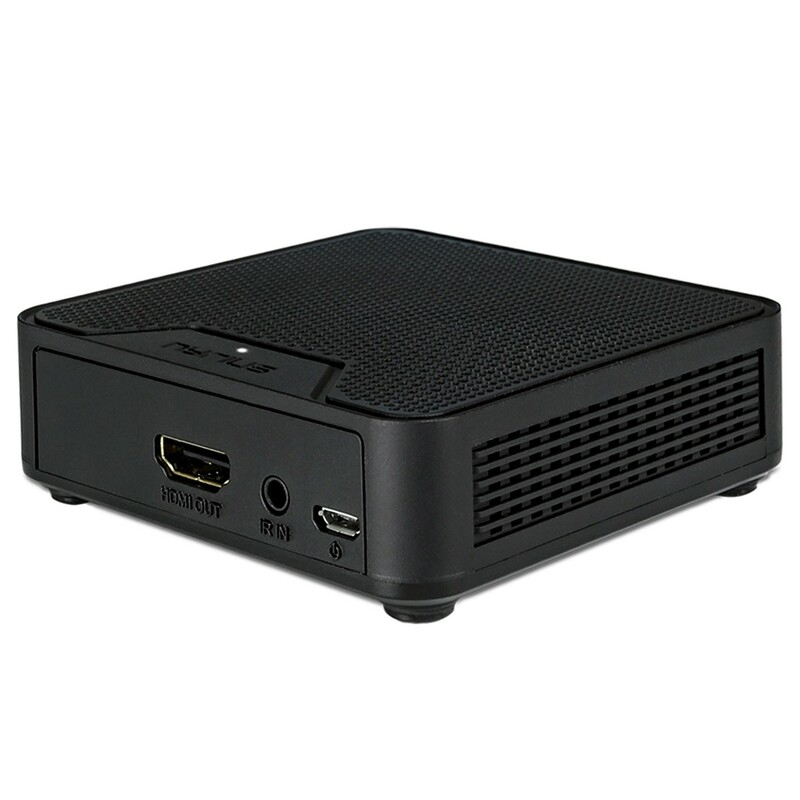 Any high-definition television or projector with HDMI including popular models from these manufacturers: Samsung, Sony, Sharp, Vizio, Hitachi, JVC, LG, Mitsubishi, Panasonic etc. 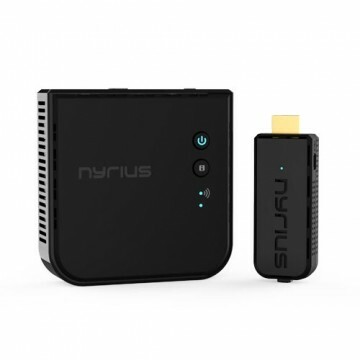 "The Nyrius WS54 Wireless HDMI system simply works…and works simply. 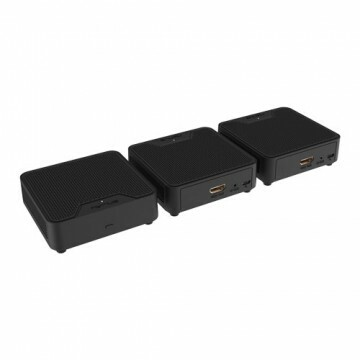 An easy setup and fool-proof system make this a great choice for in-room wireless HDMI." "In many situations, it will be ideal and would work flawlessly"